It's the total cost to buy an option, which gives the holder the right but not the obligation to buy or sell the underlying financial instrument at a specified strike price. It's the difference between the higher price paid for a fixed-income security and the security's face amount at issue, which reflects changes in interest rates or risk profile since the issuance date. It's the specified amount of payment required periodically by an insurer to provide coverage under a given insurance plan for a defined period of time. The premium compensates the insurer for bearing the risk of a payout should an event occur that triggers coverage. The most common types of coverage are auto, health, and Home insurance. 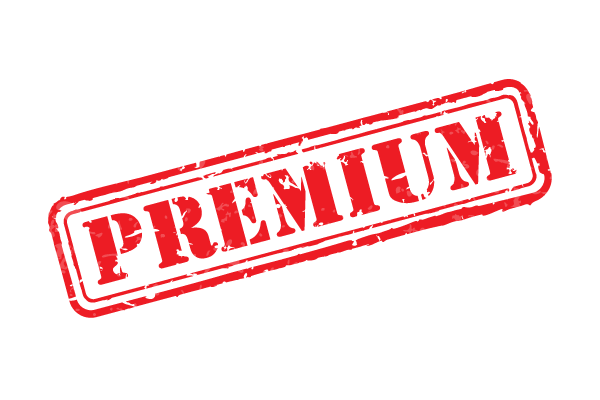 The three usages of the term premium all involve payment for something that is perceived to have value. The buyer of an option has the right but not the obligation to buy (with a call) or sell (with a put) the underlying instrument at a given strike price for a given period of time. The premium that is paid is its intrinsic value plus its time value; an option with a longer maturity always costs more than the same structure with a shorter maturity. The volatility of the market and how close the strike price is to the then-current market price also affect the premium. Sophisticated investors sometimes sell one option (also known as writing an option) and use the premium received to cover the cost of buying the underlying instrument or another option. Buying multiple options can either increase or reduce the risk profile of the position, depending on how it is structured. The concept of a bond price premium is directly related to the principle that the price of a bond is inversely related to interest rates; if a fixed-income security is purchased at a premium, this means that then-current interest rates are lower than the coupon rate of the bond. The investor thus pays a premium for an investment that will return an amount greater than existing interest rates. Premiums are paid for many types of insurance, including health insurance, homeowners and rental insurance. A common example of an insurance premium comes from Auto Insurance. A vehicle owner can insure the value of his or her vehicle against loss resulting from accident, theft, fire and other potential problems. The owner usually pays a fixed premium amount in exchange for the insurance company's guarantee to cover any economic losses incurred under the scope of the agreement. Premiums are based on both the risk associated with the insured and the amount of coverage desired. ☆☆☆☆☆ Rated 4.8, based on 4 reviews.